of co-option – interested persons should contact the Clerk for further information. on the camera activity and asked if the Police could be asked for general information on successful ANPR activity. Cllrs considered the request and noted that there may be many students from the parish who will be taking part in the activity. 7.3 Ettington Lodge – Orbit Heart of England update Cllr AP – It was noted there had been some construction problems which had delayed the opening of the facility and that there was one client still in the bungalow and eight still in flats at Willett House. persons, delivery of dogs to Birmingham Dogs Home for re-homing, dog fouling, policing and area patrols. refurbishment had taken place already, but further fundraising would be undertaken. the building. He thanked WWPC for their reference to the loss of parking spaces noting that 7 not 4 would potentially be lost. as an overflow car park by some nearby roads and businesses. Cllr Kendall – A surgery with MP Jeremy Wright would be taking place on 8th September at the Church Rooms, 9.00am. Cllr Mrs Parry report noted. Cllrs asked why SDC were acquiring Studley Medical Centre, Cllr Parry said SDC do invest in public buildings to protect and grow funds. Community Forum subjects this month – Education Strategy results and information on how to maximise gas/electricity savings and police priorities. 10.3.1 Report John Hargis – noted. He said a series of drop-in sessions had been arranged including Sainsburys and the Airfield. 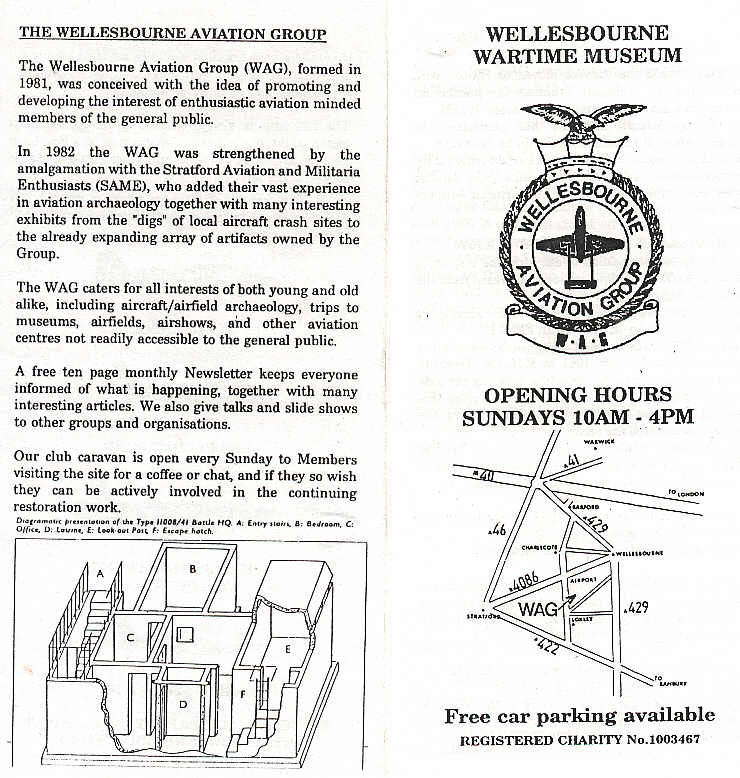 There would be articles in the Wellesbourne & Walton News and a presentation to Wellesbourne U3A. Cllr AP said she had contacted SDC about the lawful responsibility for developers to engage with the Parish Council in relation to offering the open spaces under Sec 106 to the PC prior to arranging a management company to attend the site. SDC had sent this matter to their legal team and planning enforcement officer for breach of planning conditions by the developer. 11.4 Annual Return update Clerk – further information on a variance matter had been requested of the RFO and acknowledgement that the grant had been included in the total income on the AGAR (Annual Governance & Accountability Review) received. Once the variance had been dealt with the Auditor should be able to sign off the accounts. residents had a responsibility to clear overhanging vegetation from their properties and should be informed of their duty to do so. Cllr Mrs RB said of WSCC, this was an excellent facility for the residents of the parish and congratulated the Council on its achievement. Village Hall. SDC Officers had not responded due to workload. good with suitable levelling and planting/seeding. school were instructed to carry out full modelling of the brook that this information would be shared with WWPC. It was agreed that Rivers Way would be a suitable name and fitting tribute to Dr Rivers. 13.3 Chedham’s Yard – Councillor Trustee update – It was noted that due to the arrangements for meetings by the Chairman without consultation that Cllrs Kendall and Mrs Parry were often unable to attend the meetings. It was noted that as no report had been received the Council did not have information on the success of the facility or know how many volunteers were helping. Cllr Bartlett had raised some concern about how Sec 106 money would be spent if not given to the Cricket Club which was read out by the Chairman along with the response given by the Clerk in the correspondence directly to Cllr Bartlett. 13.4.1 Cllrs noted that the pledge of £50,000 had been made to the Cricket Club who had intimated that the money was required as a matter of urgency for the work schedules to be met. Despite WWPC’s best efforts to move this along quickly for the Club, it appeared that WSA were not co-operating. It was made very clear that in order to qualify for the funding, that WSA would have to register for Charitable Status in accordance with the Sec 106 contract from SDC. shared finance folder. Councillors to have a shared file where they can review minutes, agendas, consultation documents etc. and expressed grateful thanks to all involved in the production and delivery of the Index this year. 16.1 Stratford District Council Draft Strategic Housing Land Availability Assessment (SHLAA) report – Cllrs discussed the SHLAA and agreed the response to be made. 16.3 Response to SDC consultation on the proposed update of the Statement of Community Involvement and in particular the section “Permission in Principle” – Cllrs AP & AS raised concern at the possibility for piecemeal applications where large developments are staggered into phases each with nine or less properties in order to achieve planning consent. Urge voting for the Neighbourhood Plan.